Amongst the several initiatives from the different spanish regions, this year Catalonia has presented an original stand at Fitur, featuring a kitchen with pantry included. The idea was to stress that, along with Minho in Portugal, Catalonia has been awarded European Region of Gastronomy for 2016, a prestigious title that the Catalan Tourism Agency wants to use to showcase the singularity of its typical food products to tourists. Thus, its position as an artichoke production area has also been highlighted. 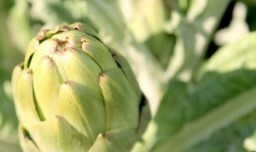 Artichokes continue gaining ground in Spain because of their health properties and popularity as a gourmet product. So much so, that four of the main regions that produce it (Valencia, Navarre, Murcia and Catalonia) have made use of it as added value to attract tourism at the International Tourism Fair (FITUR), held until 24 January at Feria de Madrid (IFEMA).